Is there a better alternative to Spooky Mahjong? Is Spooky Mahjong really the best app in Card and Board category? Will Spooky Mahjong work good on macOS 10.13.4? 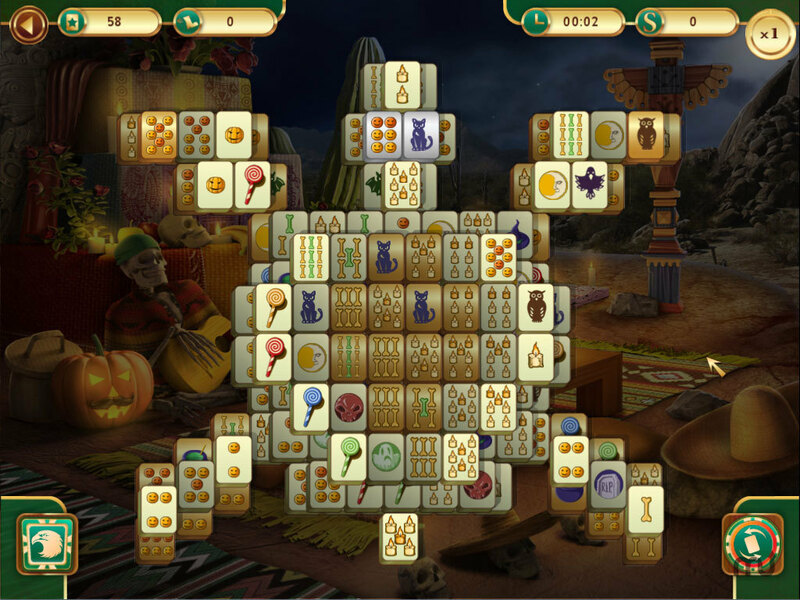 Spooky Mahjong...Play Mahjong all night long and collect piles of trophies at Halloween! Complete 120 unique levels with various difficulty and dynamics, earn points and gain XP. Increase your rating and climb up the hierarchy ladder. Spooky Mahjong needs a rating. Be the first to rate this app and get the discussion started! Trick or treat! On Halloween night you have a unique opportunity to visit 6 different lands to play Mahjong there and earn a variety of trophies. On each level you should remove gold tiles, which makes the game process even more interesting as well as diversifies its visual side (for instance: there are levels with wandering gold tiles). The levels vary by the number of categories: there are classic layouts with a full set of 7 categories, but also levels with increased dynamics owing to the limited number of included categories.